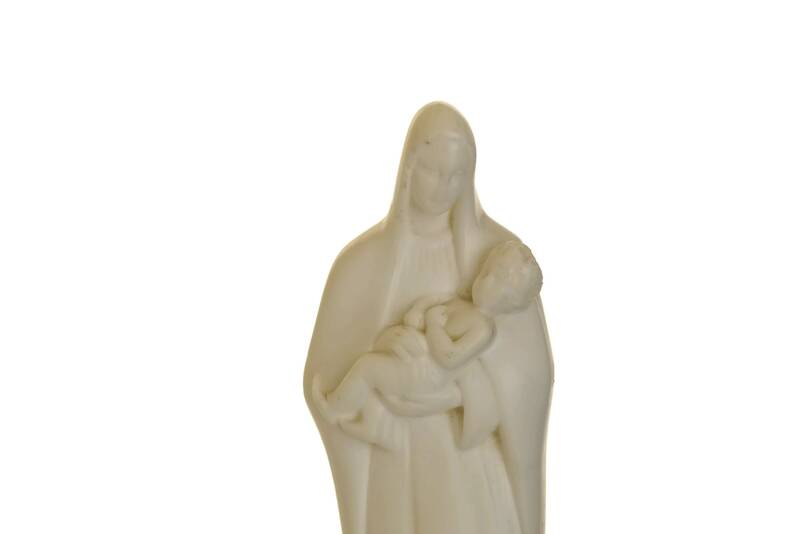 A charming French vintage Madonna and Child statuette dating from the early 1960's. 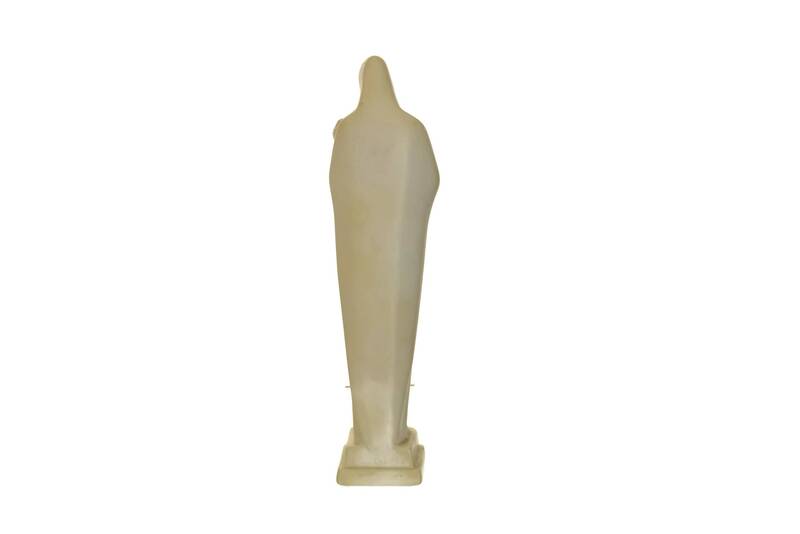 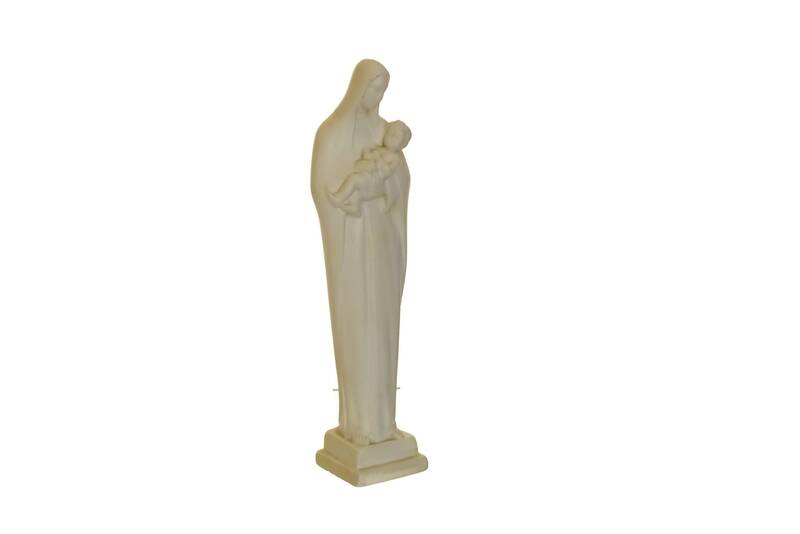 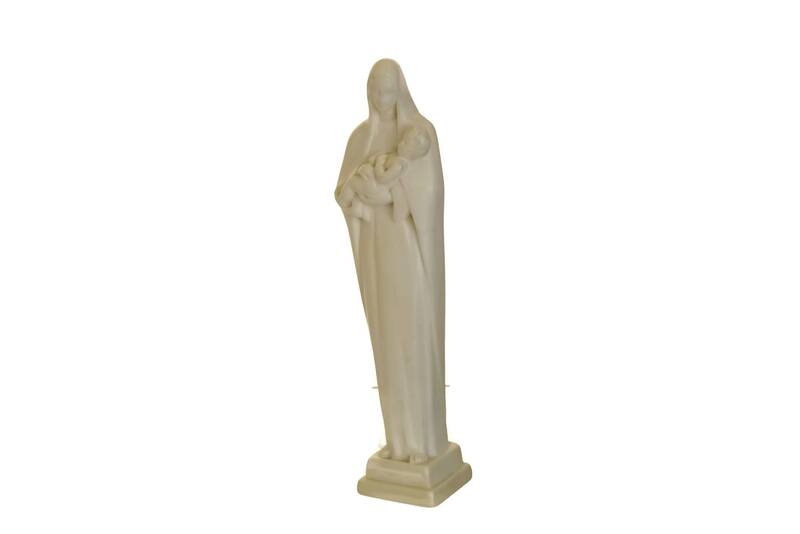 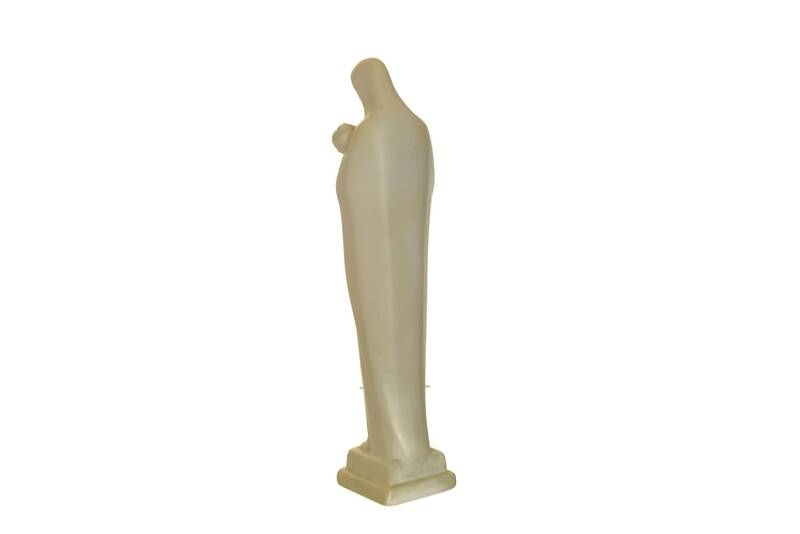 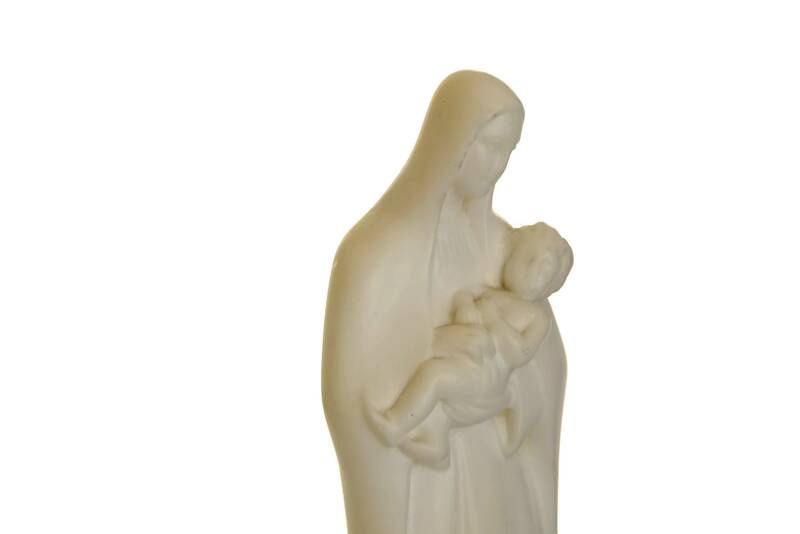 The Virgin Mary and Baby Jesus figurine has been cast from resin with fine details and rests on a pedestal base. 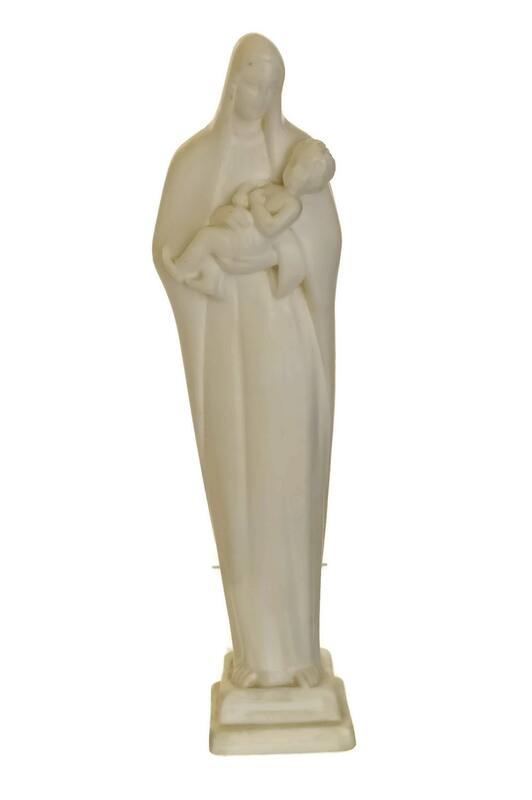 The reverse side has been signed B Fauth, Made in France. 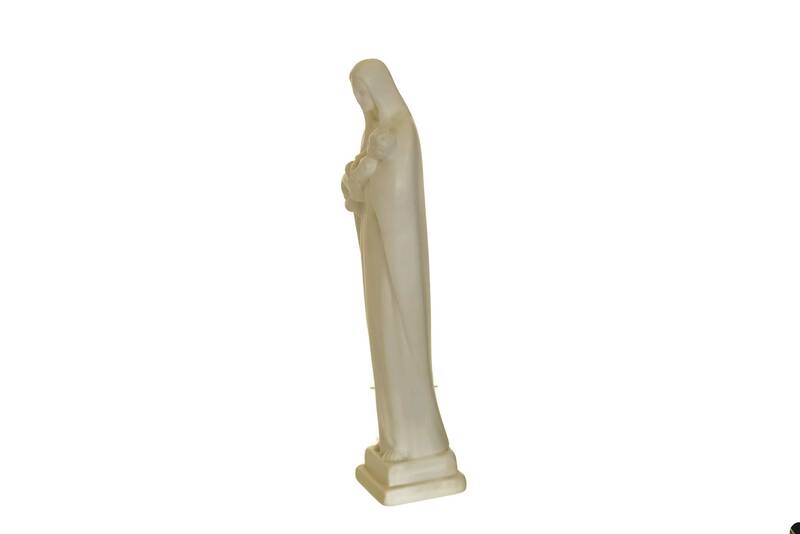 (20 cm x 5 cm x 2,5 cm). 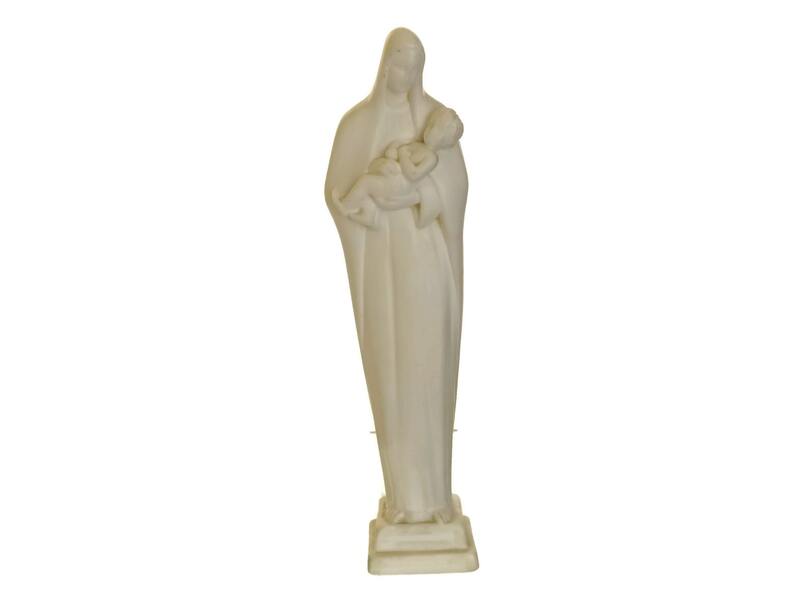 The Madonna statuette is in good vintage condition with some light signs of age and wear.